today.. im going to share an awesome place . 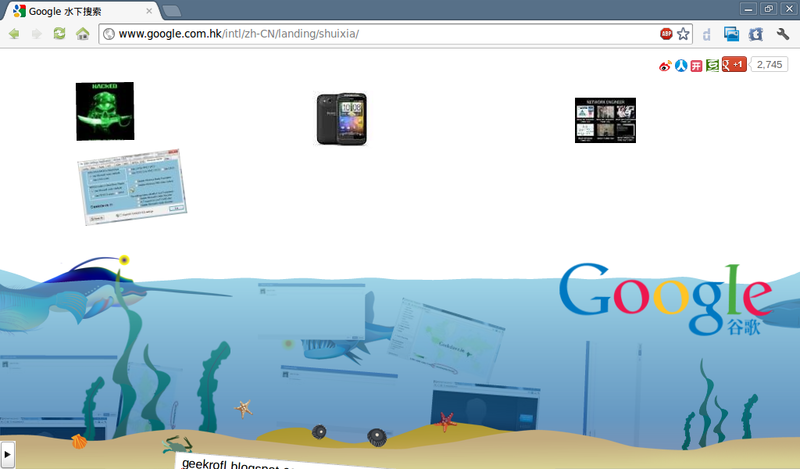 where all your google image result goes under the water !. so you can call it as Google Marine Image Search ! or under water Google ! so recently i found this awesome web page. where Google logo will float like a Titanic! Google search Query button your result falls from the sky with images into the water. when you continually Click on the water a Tsunami will be generated ! and when you click the second button a coin of "G" token and a "Royal Jewellery Box"